[tps_footer]The adult comedy ‘Great Grand Masti’ has finally hit the screens today. The movie stars actors Vivek Oberoi, Riteish Deshmukh, Aftab Shivdasani and Urvashi Rautela in main leads. The film is the third installment to the franchise of ‘Masti’. The earlier two parts minted quite a good amount at the box office, but things might change for ‘Great Grand Masti’. The adult comedy was much in the headlines for its tiff with the censor board. The authorities termed the film as too vulgar and ordered too many cuts. The film has received an average opening of 15% to 20% on its first day. 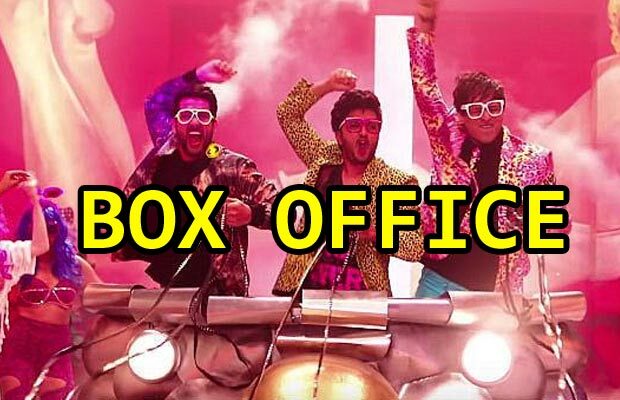 The movie fared quite well in the single screens but showed poor response in the multiplexes. The previous installment of the series, ‘Grand Masti’ was a hit at the box office. The movie grossed an impressive figure of Rs.91 crore. The opening of ‘Grand Masti’ was also amazing with Rs. 12.19 crore. However, the timing of ‘Great Grand Masti’ might not be so favorable. The movie might have lost most of its audience due to its online leak. The film got leaked online and hence the release dates were also preponed. But the scenario will surely affect the overall earnings. ‘Mastizaade’ which released in the start of the year was also an adult comedy; the film could not do well at the box office with the earnings of Rs. 17.50 crore net approx. The same was the fate for ‘Kya Kool Hain Hum 3′ which fared at Rs. 23 crore net approx. Previous articleNice Attack: Shahid Kapoor, Anushka Sharma, Akshay Kumar, Priyanka Chopra And Others Express Shock And Grief! Next articleDeepika Padukone And Ranveer Singh’s Marriage Fixed For Next Year?